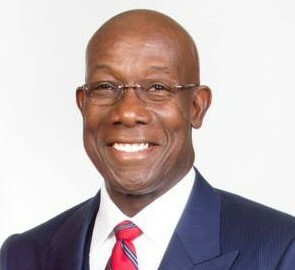 On behalf of the National Executive Council and membership of the National Democratic Congress, (NDC) of Grenada, and on my own behalf, I extend heartiest congratulations and best wishes to you, Dr Keith Christopher Rowley, on your elevation to Prime Minister Elect of the Republic of Trinidad and Tobago. The NDC also extends similar sentiments to your Party, the People’s National Movement (PNM) on its victory at the General Elections. With your victory, democracy and the people of Trinidad and Tobago are the ultimate winners. Based on our observations, it was indeed a long and gruelling campaign and its intensity would have taxed your resolve and determination and that of your party. The incisive focus and hard work of your campaign team were no doubt vital to your success. We note that there exists a special relationship between the people of Trinidad and Tobago and Grenada which is often underscored by family ties and unbreakable bonds of friendship. This victory will reinforce those ties. We look forward to increased cooperation and bonding between our parties. We recognize that the road ahead will be a challenging one and that with your victory, the journey now begins. At the same time, we are confident that you are up to the task and will rise to the occasion. We wish you every success in your journey to improve the quality of life of the people of your proud nation.